Immaculate 5BR, 3.5BA custom built home in Auburn Hills Subdivision at end of cul-de-sac on a large flat lot! Walking distance from the Auburn Hills Golf Clubhouse & pool. Gorgeous views of mountains, Riner countryside & golf course will greet you from front porch, side patio or back deck. 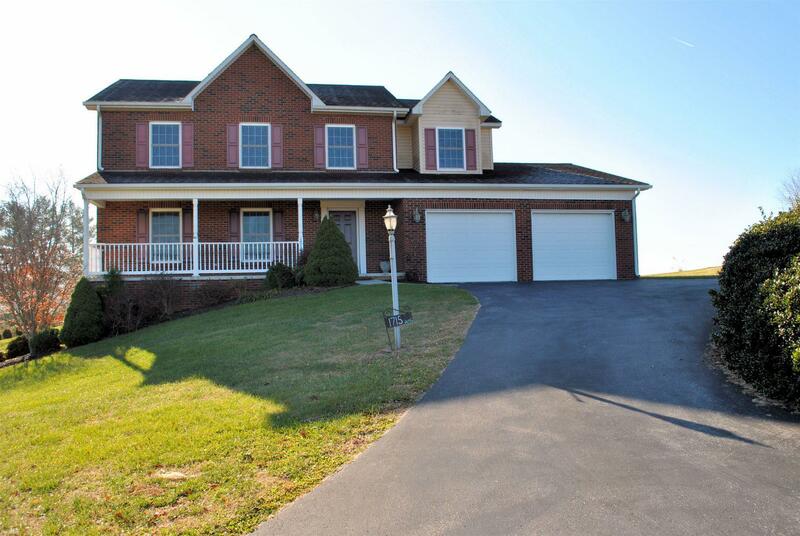 A perfect house for entertaining as you enjoy time w/family & friends in family room w/stacked stone, gas log fireplace that is open to kitchen & has access to back deck. Enjoy a quick meal at breakfast bar w/beautiful granite countertops or sit down to a meal in formal dining room. Each of four bedrooms upstairs all have their own walk-in closets & basement would make an excellent guest/mother-in-law suite that includes large family room w/ gas log free standing fireplace, a 5th bedroom w/ walk-in closet & full bathroom w/ its own private entrance from patio door. Also wired for generator. Enjoy golf course living (w/ NO HOA DUES) in this lovingly kept home located minutes from the heart of Riner! Directions: I-81 Exit 114 Rt. 8/Riner Rd To Left On Turnberry Lane (At Entrance To Auburn Hills Golf Course). Continue On Turnberry Lane And Home Will Be At The End Of The Cul-De-Sac On The Right. See Sign.